For those of us that love road bikes, we all get something different out of it. For some of us, it’s the thrill of competition and beating the rest of the peloton as we sprint across the finish line. For others, it’s the fitness: knowing that every day we’re getting faster, stronger, better than the day before. Or maybe it’s that feeling of freedom. Hopping on your bike and riding where you’ve never gone before, pounding pavement and gravel to reach that perfect, scenic spot you never could have in your car. 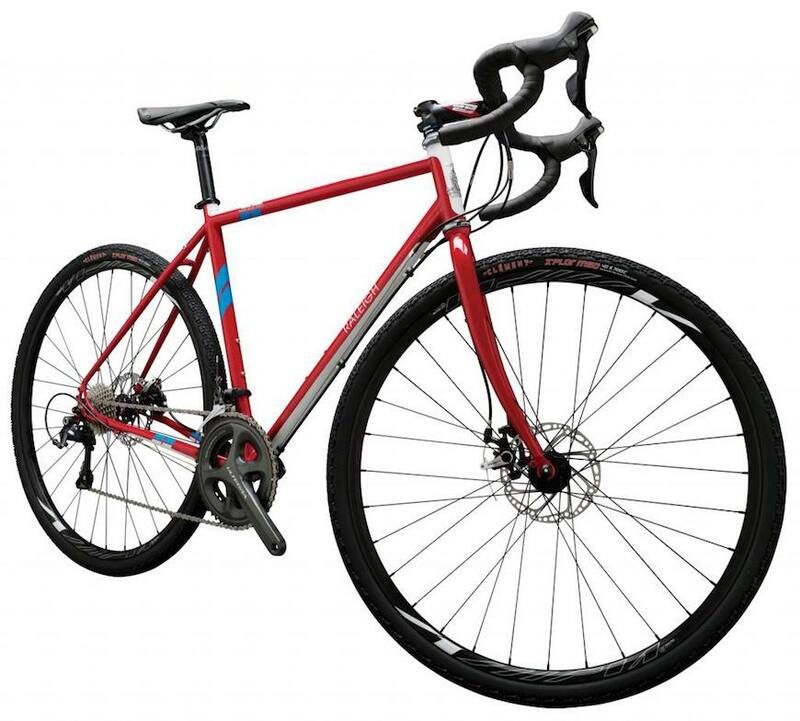 As we settle into 2014, and warmer weather feels a bit closer, we take a look at some of Raleigh’s newest road and gravel bikes. Whether you’re a racer, endurance rider, commuter, or just want to adventure on the road less travelled, we’ve got the bike for it. Need more? Check out some of the recent media reviews below. 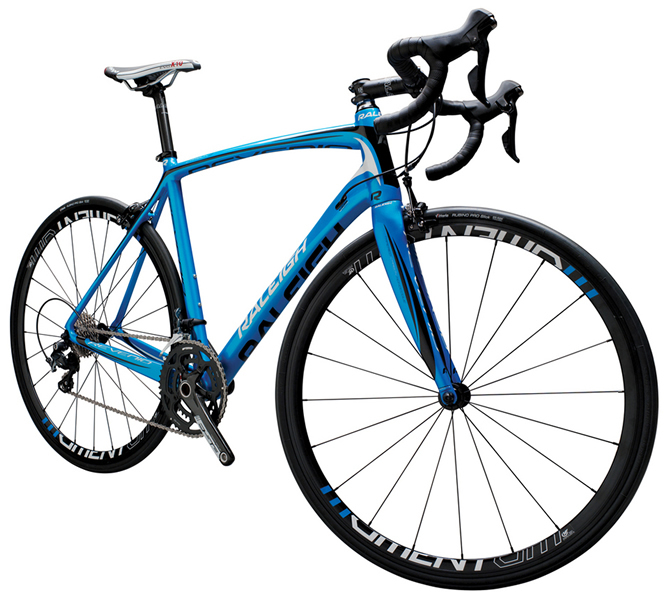 The Militis 4 is Raleigh’s top-of-the-line road race bike. The layup for Raleigh Militis carbon frames is a unique, proprietary blend of high modulus fibers. More than just the highest fiber grade, though, Raleigh uses the right carbon in the right places. The 880 gram Militis frame – with the impressive carbon construction technique along with a tapered headtube, and oversized downtube and chainstays – has stiffness where it counts. The Miltis 4 is compatible with both mechanical and electrical cable systems. Check out the video to learn more about the Raleigh Militis. Looking for endurance and speed? 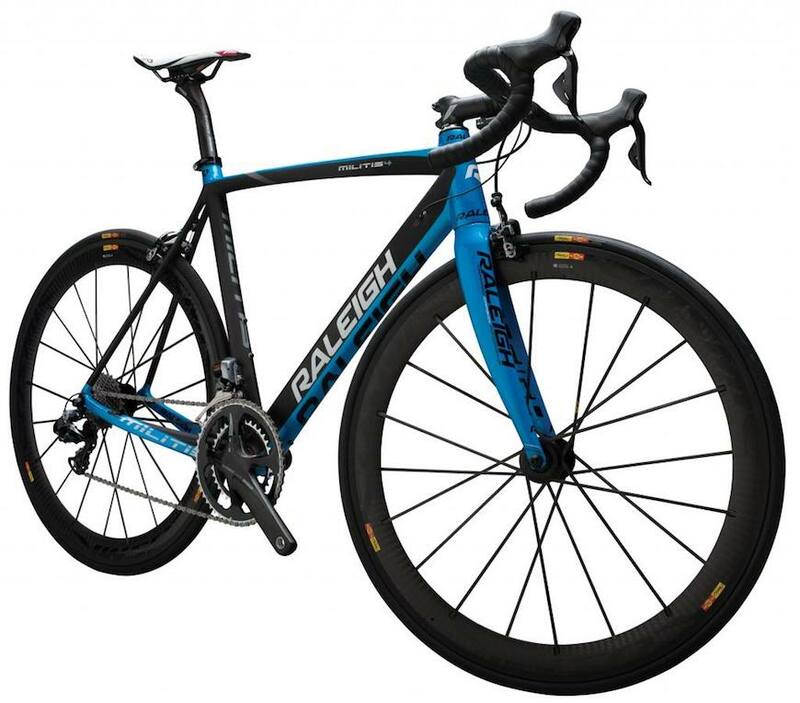 The Raleigh Revenio (available in both carbon and aluminum models) is an awesome option for road biking. The Revenio Carbon 3 is a creation of beauty and beast. Equal parts both, this carbon steed is easy on the eyes but a hard competitor on the road. The Revenio 3 is a comfy carbon pleasure cruise at an affordable price. Featuring lightweight components that excel while grunting up climbs and our double wall Momentum rims for added durability. This not-so-modest carbon workhouse will love you forever. The women’s-specific Raleigh Capri Carbon 4 meets the demands of the endurance rider looking for a bike comfortable enough to pedal for hours. Updated geometry, including a slackened seat angle that shifts the rider’s center of gravity back and takes weight off the bars, means improved stamina and comfort on those long rides. Highlights include an all-new full carbon fork and frame, Shimano Ultegra Di2 11-speed drivetrain, women’s specific saddle and striking colors. The Capri is also available in alloy, boasting many of the same benefits as the Capri Carbon at a lower price point. Created to take you farther than where the road ends, the Tamland breaks down the boundaries of what is possible on a road bike. Designed specifically for long rides in harsh conditions the Tamland begs for the road less traveled. Custom Reynolds 631 Double Butted Chromoly tubing and longer chainstays with lower bottom bracket make the Tamland handle the high speeds and loose gravel with ease. We also use a 40c Clement adventure tire that makes sure you float over the rough stuff. Rack and Fender mounts ensure that daily commutes can be included in the adventure.